My new favorite thing to blend into cream sauce is cooked zucchini! It’s so magical and undetectable in a sauce. I used it as the base for this vegan carbonara recipe. It’s great because now you’ve got your sub for tofu and cashews! The newsletter subbies would already know about my obsession with the zuke as I sent out a creamy spinach dip recipe a couple of weeks ago made with it. It was delicious! You’re not signed up for the newsletter?! HELLO! From time to time I will send out exclusive recipes only to newsletter members so get on it and sign up here. This dish all played out in a little game I call RECIPE?! so watch it unfold in the video below or keep scrolling for the written recipe. If you’re looking to add in a homemade bacon bit recipe, try my recipe for tofu bacon crumbles! A classic Italian dish turned vegan with all the creamy goodness and none of the guilt! Bring a large pot of salted water to a boil and cook spaghetti to al dente. Drain but do not rinse. Ensure all the green skin is peeled from the zucchini to ensure you have a white coloured sauce. Sauté zucchini and garlic cloves in a pan with 1 teaspoon of olive oil for about 8 to 10 minutes until soft and cooked through. Add cooked zucchini to a high powered blender with 1 tablespoon of olive oil, nutritional yeast, pickle brine, nondairy milk, and ground black pepper. Blend until very smooth and creamy. In the same pan, brown up your vegan meat substitute over medium heat. Once crispy and golden brown, reduce the heat to low, add the spaghetti and all the sauce and toss to combine well. Ensure it's heated through to your liking before adding kala namak, as you don't want to heat this up much. Add kala namak and more ground black pepper to taste if you like, just toss until combined and then turn off the heat. Serve immediately and add vegan parmesan on top and more ground black pepper if desired. I think you mean "drain but do not rinse" for the pasta. just drain the pasta from the cooking water but don’t rinse under water. That removes the starches. Some people do not now this! The exception is rice pasta, sometimes the texture of rice pasta is better if you rinse it under cold water before tossing it in a sauce. Hmmm any idea how it would turn out without the black salt? I’m sure it wold still be delicious. the sauce without it is great! How many tsp of lemon would you use to substitute for the pickle brine? Could lemon juice replace pickle brine?? What vegan parmesan do you recommend? In my kitchen whipping it up Lauren. Very surprised how the sauce turned out. It’s good to know I am not the only one uses pickle brine. Just made this with your tofu bacon bits!! So so so good, thanks so much for the recipe! I’m just taking a guess at this but you refer to a really long zucchini. I think that may be a New Guinea Bean. Super delicious! Definitely going to give this recipe a go! Thanks! Thank you for saving my evening!! This was so refreshing, that cream sauce is now going to be in my permanent rotation for sure. WOW this carbonara looks SO creamy and delicious. This one’s going on the must-make list. just made this and it was excellent! such a unique flavor! used lemon juice instead of pickle juice (all we had was super spicy pickles) and used "tofu pups" vegan hot dogs as the meat sub, cooked with paprika and and a tiny bit of liquid smoke. Sounds great, I’m going to try that. I also love to take dried tomatoes in a carbonara instead of sausage. Has anyone made this without peeling the zucchini? Does it change the texture or just the colour?? I’ve made it a few times without peeling the zucchini and it just gives it a very "healthy food" looking green colour. Still tastes amazing! This is amazing! I also used lemon juice and also added peas. So tasty!! This is so good! Used 3 tbsp lemon juice and your recipe for tofu bacon bits! What a great recipe!!! I made it today for dinner, it is so delicious. Great summer recipe since zucchini are in season. I used 2 Tbs white wine vinegar instead of pickle brine. I added fried onions and eggplant and some fresh cherry tomatoes. Such a smart use for zucchini! They certainly are plentiful this time of year, so I’m happy to have some new methods for tackling the surplus. This recipe is definitely a winner! SO good! I also didn’t have pickle juice, so I used lemon juice. I also used a little less kala namak. I used tempeh bacon. YUM! cool! ya the pickle juice just has this EXTRA tang and flavor that’s different than lemon! I love this! I’m not vegan or even vegetarian but I’m trying to incorporate a lot more plant based meals in my diet. This recipe was a lot easier than I thought, using the blender to mix the ingredients is so quick and simple and I assume it is a lot easier than mixing eggs/cream in some extreme technical way like the original version. I used vegan bacon the first time I cooked it but I don’t think it was necessary at all if you’re just making a quick dinner. I prefer it without the “bacon” anyway. This sauce is really nice and I plan on making a lot more to freeze because it’s amazing. I didn’t add the black salt and it turned out fine. The sauce doesn’t taste “vegan” either, and it’s quite light and doesn’t make me feel gross like non vegan cream sauces do. It doesn’t taste like squash or veggies either. I have a small appetite normally, but every time I make this I eat one and a half servings! So maybe make extra if your making it for more than one person. 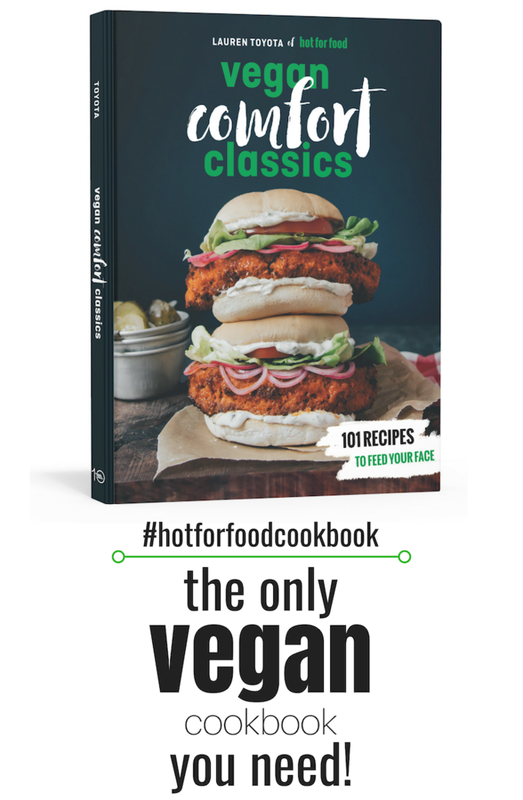 Highly recommend to vegans and non vegans alike! Oh My God!! Just made this recipe after getting my vitamix today and this carbonara sauce is LIFE-CHANGING! My non-vegan BF had the hardest time believing this was blended up zucchini! Made this with Gardein meatballs & crinkly noodles from the Asian market. These all worked so well together! I love your easy-to-follow recipes, Lauren!! 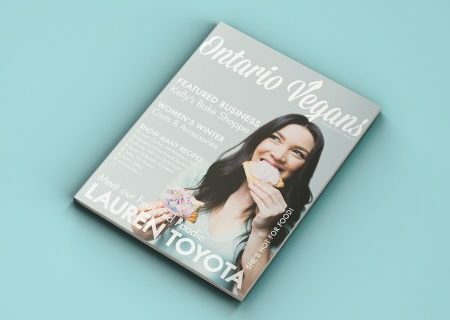 I’m slowly opening the minds of omnivores to plant-based eating through amazing recipes like these! Thank you!